Crafting character is gyroscopic: the faster your story spins in conflict, the clearer your characters should become. They should already have been clear by the time you get to the storm. Creating distilled characters is a skill of Starhawk’s, the famous author of the urban fantasy The Fifth Sacred Thing, recently released as an audiobook on Amazon and iTunes. 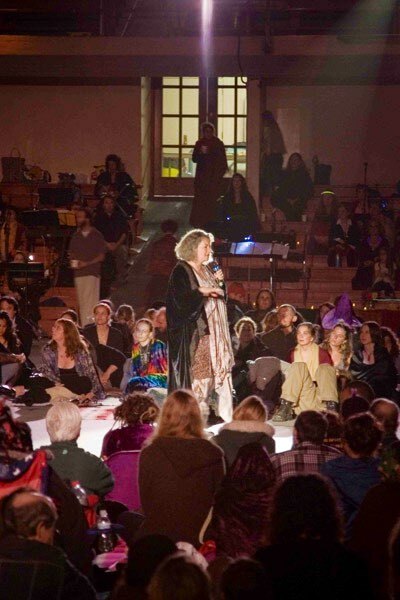 Starhawk is the author of mostly nonfiction, such as the classic The Spiral Dance, but her first fictional foray in 1994 quickly became a cult activist classic. It’s the book that Julia Butterfly Hill brought up into her beloved redwood. It’s the book passed around Occupy impromptu bookshelves. It’s the book that acts as a subtle test: “Are you really counter culture, or just your shirt?” The community around Fifth Sacred feels a bit like the people who would be invited to a surprise Banksy art exhibit… by Banksy himself. Starhawk’s fans see the problems with the world, and attempt to shake it up. They are the OG activists. They are honest, funny and flawed. And the reason behind why the book is so beloved is the fully fledged characters, who Starhawk culled from her own experience with community in 1970s San Francisco. As the narrator of the new audiobook, I got to know over 100 characters extremely well. I had to voice every one of them, male and female and gender neutral, young and ancient. Although I had read the book in 1995 (where it quickly became a favorite), and have read it at least six times since then, voicing it was another beast. 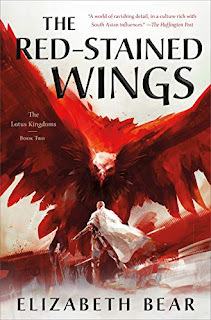 Starhawk herself asked me to do the audiobook, as a friend and colleague, but I honestly had no idea the amount of work it would take. I had done vocal work before, but never for 496 pages. My narration took 44 hours to complete 22 finished hours. It was a narration marathon. (Say that in your head three times fast.) And the only thing that got me through was the characters. Kurt Vonnegut said that every character should want something, even if it’s just a glass of water. 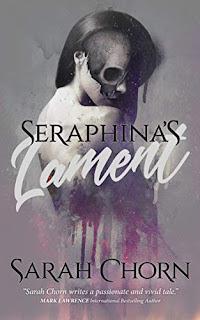 Starhawk’s characters all want something, often desperately, and she is very effective at having them tell you in different ways: sometimes in inner dialogue, other times to each other, sometimes to ghosts or goddesses, and often while on the run. Whenever I would find my energy flagging, I would just let the characters take over. Each character of Starhawk’s feels like a real someone whose company you enjoy. Madrone is the beautiful ingenue, yes, but she’s overworked because of doctoring epidemics, and often pissy because of it. There’s HolyBear, the towering, redheaded, flaming-gay teddybear that likes to wear gauze and help those around him. There is Maya, the worrying Jewish grandmother who also has lesbian trysts and a naughty sense of humor. And Bird, the vigilante musician who is too proud to ask for help, yet is a healthy mix of masculine and feminine. Often Starhawk lets her characters be described indirectly, through the objects and circumstances that fill their world. And they are believable because they are always in motion, going for that Vonnegut Want. In this action scene, Madrone, the exacting doctor, reveals herself to be embodied, free, and reckless. Starhawk shows this in what Madrone does: sneaking into an off-limits pool that is for fast drinking during a drought, not using adjectives or a bulletin description list. It also shows the energy Madrone is in: desperate and in a foreign world, where all rules are upside down from everything she knows. She literally turns upside down in a pool, a metaphor for her emotional state. Indeed, as the world spins faster around us, aren’t we all refining, going after our wants, and awaking? 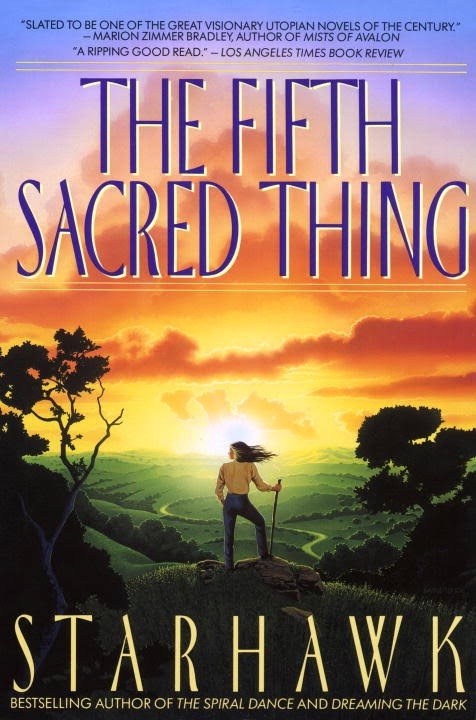 The Fifth Sacred Thing is available now as an audiobook on Amazon, Audible and iTunes. Join our social media communities for a chance to win a free audiobook! Starhawk is the author of The Fifth Sacred Thing and eleven other books, including the prequel, Walking to Mercury, her feminist spirituality classic The Spiral Dance: A Rebirth of the Ancient Religion of the Great Goddess, and her latest, The Empowerment Manual: A Guide for Collaborative Groups. She has written, consulted and coproduced five feature documentaries for the National Film Board of Canada and her own company, Belili Productions. She directs Earth Activist Trainings, which offers training in permaculture and ecological design with a grounding in spirit and a focus on organizing for activists and inner city youth. She released a sequel, City of Refuge, in March and working to bring her novel to the screen. Maya Lilly is the recipient of the Udall Congressional Award for her work using theatre and film as environmental activism. She is a film producer, trained actor, playwright, and musician. She was one of only 7 women accepted into the Acting program at Juilliard, alongside contemporaries such as Anthony Mackie, Jessica Chastain, Jennifer Carpenter, Glenn Howerton, Sam Witwer, Michael Urie, Traci Thoms, Lee Pace, Wes Bentley, Elizabeth Reaser, and Oscar Issac. Most recently, Maya produced Amazon’s FIRST EVER documentary with a theatrical release, premiering in Jan. 2017. Wealth: the Influence of Affluence was directed by Sundance, Emmy and Clio award-winning Lauren Greenfield (Queen of Versailles, Always’ Like a Girl). The film on how wealth shifts our moral compass was shot around the world. With Mikki Willis, she also recently produced two Bernie Sanders web spots with Shailene Woodley, Rosario Dawson, Kendrick Sampson, and Nomiki Kontz. She was one of the producers of the Elevate Film Festival in Los Angeles, which created over 25 films and was the first company to sell the smash success, The Secret. She also helped produce the Artivist Film Festival in Los Angeles. Maya was also integral in the creation of a documentary about the Gulf BP Oil Spill called The Big Fix. She is excited to be co-producing the film version of the critically acclaimed popular novel The Fifth Sacred Thing by Starhawk. One act of courage can change the world. 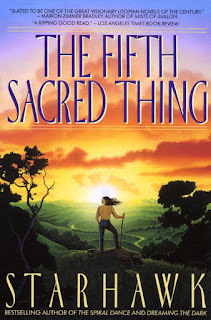 The Fifth Sacred Thing is an epic tale of freedom and slavery, love and war, and the potential futures of humankind. 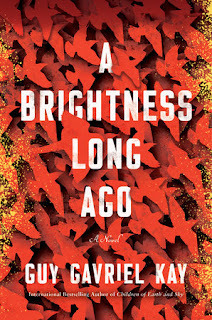 It tells of a 21st century California clan caught between two clashing worlds: one based on tolerance, the other on repression. It is both a love story between two people and a war story between two opposing ideals.